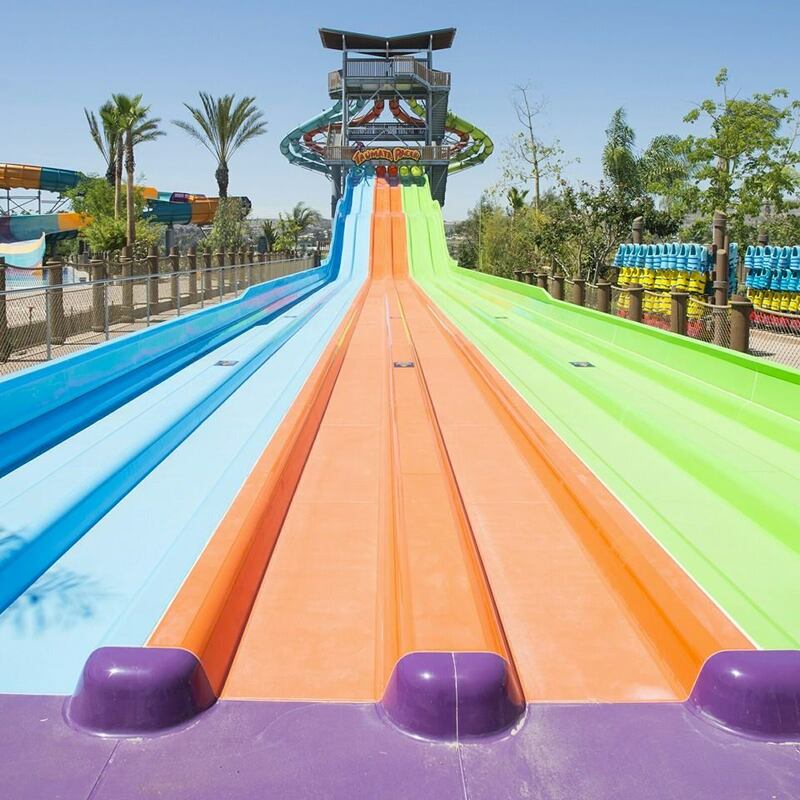 This Memorial Day Weekend guests at Aquatica San Diego are racing down the all-new Taumata Racer, the park's just opened mat racing water slide. The attraction features six separate lanes of action, starting nearly sixty feet above the ground below. Riders first head through a helix section before meeting up for the final race down the slide to the finish line below. The bright blue, orange and lime green slides fit in perfectly with Aquatica's tropical atmosphere. Another interesting note is how the ride's first helix section has a different layout than what is usually used on Proslide's Octopus Racer slides. Riders start facing 180 degrees from the bulk of the slide, whereas normally there is a full 360 degree helix before the downhill section. It gives the slide an extended and almost unusual look. Perhaps it was necessary to fit the slide into the available space? 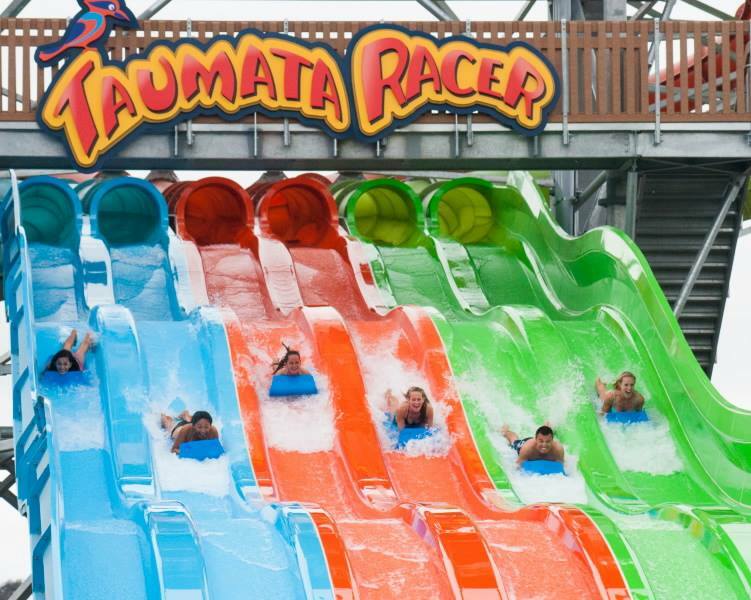 Either way, Taumata Racer is now open and adding tons of new capacity to Aquatica San Diego, which is only in its second year of operation. Can't wait to see what else the future may hold for the park!